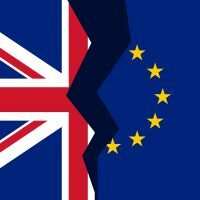 We at Vademecum Italia have been waiting to write something significant about Brexit for some time now. But as there has been no ‘meaningful ‘ vote yet (meaning PM May gets Westminster to approve the deal she negotiated with the EU), it is difficult to report anything of significance. However, one thing full of meaning has happened: the March 29th Brexit date has come and gone and UK lawmakers still have not been able to reach a consensus on what course of action to take. With the clock ticking away on the March 29th deadline, the British Parliament voted down the exit deal negotiated by PM Theresa May for the third time, despite having previously voted against a no-deal exit. Crowds of flag-waving Brexiteers gathered in London on that day, hoping to say good-bye to the European Union. In spite of their disappointment, they remained determined to leave the EU. In the opposing camp, ‘remainers’ continue to demand that politicians–who seem more and more incapable of untying this Gordian knot–let the people’ s voice be heard through a second referendum. In addition, an online petition asking the government to revoke Article 50 has garnered millions of signatures. Brussels has grudgingly extended Brexit until April 12th and convened a meeting for the 10th to discuss the problem. However, EU leaders are not willing to grant a longer extension (which would involve the UK in EU elections) until there is some indication of what path Britain intends to follow. Unfortunately, the British can’t seem to make up their collective mind. Each camp remains entrenched in its own position and little willingness has been demonstrated to overcome the impasse. This deadlock has left Britain adrift in troubled waters. Whether the nation will drift towards the continent or away from it, remains to be seen.